A study released this week on home birth in America shows a substantial increase in the still very small numbers of women who are choosing to have home births. The study, released online in Birth: Issues in Perinatal Care, shows that of the 4.2 million births in the United States in 2008, 28,357 were home births. That is 2/3 of one percent of the total, but it represents a 20 percent increase, from 0.56 percent in 2004. Non-Hispanic white women accounted for most of the growth, with an increase of 28 percent between 2004 and 2008. More than 1 percent of those women now have their births at home. The study was based on United States birth-certificate data. The family of David A. Sinclair MD, the late Honolulu obstetrician who delivered Barack Obama on August 4, 1961, were surprised and honored to learn of his role when the President recently released his long-form birth certificate. Dr. Sinclair was a freshly minted young doctor in 1961. Born in Portland, Ore., Dr. Sinclair had moved to Hawaii with his family as a child. He served as a fighter pilot in World War II, settling back down in Hawaii after the war. There, he attended college at the University of Hawaii, where he met his wife, Ivalee. Dr. Sinclair received his medical training, including his residency in obstetrics and gynecology, at the University of California at San Francisco. He returned to Hawaii in 1960. He delivered babies all over Hawaii, but his practice was centered at a hospital now known as Kapi'olani Medical Center for Women & Children in Honolulu, where President Obama was born, according to news accounts. 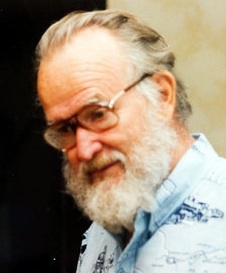 Dr. Sinclair died in 2003 at the age of 81. "I'm just honored and proud of my father," said Karl Sinclair, one of Dr. Sinclair's six children. "I think it's great," said Dr. Brian Sinclair, another son. "Hawaii was a very small place back then so I guess I'm not surprised."